Peter was born in New York City in 1940. Over the next 65 years, he became one of the most widely-known and respected conservationists in the world. He used the acclaim from “Jaws” to alert the world to the growing danger to sharks, other sea creatures and the oceans themselves. Peter’s father was Nathaniel Benchley, a writer and the oldest son of Robert Benchley, a prolific comedian, writer and actor. During World War II, Peter’s father served in the U. S. Navy on PT boats and destroyers in the North and South Atlantic campaigns. Peter and his mother, Marjorie, divided their time between New York and Colorado, where her family had a house. After the war, when Nathaniel returned, they settled in New York City. Peter went to grade school there through the eighth grade and then went to Phillips Exeter Academy, in Exeter, NH (class of 1957). But once he saw that I was interested in writing, he did a wonderful thing. For two summers, when I was 15 and 16, he paid me the going wage I might make as a gardener or a soda jerk or a club attendant, and my only duty was to sit alone in a room with a typewriter for four hours every day, or until I produced a thousand words, whichever came first. He didn’t want to read it; I never had to do anything with it. But I had to produce it. He wanted me to experience both the solitude and the discipline that are requisites of a writing life, to see if I could tolerate them. If I couldn’t, he said, I’d better start looking in another direction. As things turned out, I not only tolerated discipline and isolation, I liked them, and so, at the age of 17, I became half a professional writer: I say half because although I sent story after story to The New Yorker and other magazines, none of the stories sold. So I was a professional in that I wrote to make money, but I wasn’t a professional in that I never made any. I sold my first freelance journalism at 18, and my first fiction at 21, to Vogue magazine. He entered the U. S. Marine Corps in a six-month reserve program and received an honorable discharge at the end of his service. Upon his return to civilian life, Peter went to work for The Washington Post and then for Newsweek magazine as an editor. The journalistic skills and the contacts he made at those two publications greatly helped his career. In 1964, he married Wendy Wesson. In 1966, Nathaniel’s 1961 novel THE OFF-ISLANDERS was made into a film by Norman Jewison. The title was changed to “The Russians Are Coming, the Russians Are Coming”. In 1967, Peter was hired as a speechwriter for President Lyndon Johnson. Peter and Wendy moved to Washington, DC. When President Johnson left office, in January of 1969, Peter and Wendy moved to New Jersey, and he began a career as a freelance writer and reporter. He wrote travel articles, movie reviews, freelance television work, news compilations and anything else which would earn a wage. A lot of the research he was doing at the time was used in subsequent novels and articles. One particular idea had been percolating in his mind for many years, ever since he had gone fishing off Nantucket with his father and friends. In cruising for game fish in the Atlantic, they had often seen sharks, and the sight of the fin slicing through the water had imprinted itself on Peter’s brain. In the 1960s, he had read a story about a fisherman who had caught a 4,550-pound great white shark off Long Island. He combined that thought with the idea of a resort community not unlike Nantucket which relies very heavily on its summer trade and wondered how much damage such a beast could cause if it came around the resort waters and wouldn’t go away. The idea fermented for many years. Finally, in 1971, while he was working several days a week writing television and newspaper stories, he had time to flesh out the story of this impudent shark who spoils a resort community’s summer. At the urging of his editor, he mustered the discipline he had learned from his father and spent his winter days in the back room of the Pennington, NJ, Furnace Supply Co. and his summer days in an old turkey coop in Stonington, CT, and hammered out what would become JAWS. Nobody thought Jaws would be a success. It was a first novel, and nobody reads first novels. It was a novel about a fish, for God’s sake, and who cared about fish? a movie out of the book. to make a credible model of a great white shark. So we called it Jaws, and put it to bed, and that, for the time being, was that. All that changed very suddenly in 1974. The novel was published and bought by several book clubs and the astute movie producing team of David Brown and Richard Zanuck. And Peter and Wendy’s ride across the world’s oceans had begun. Peter was hired to write the first several drafts of the screenplay for “Jaws.” Zanuck and Brown also hired a young –but obviously talented– director named Steven Spielberg and a veteran screenwriter named Carl Gottlieb. Production crews set out to Martha’s Vineyard and Australia, while Bob Mattey’s special effects team labored hard in California to make a mechanical shark which would convince savvy audiences. Much of the Australian footage was shot by the fearless diving duo of Ron and Val Taylor . Many of the inside stories of the production of the film are cleverly related in Gottlieb’s book THE JAWS LOG, for which Peter wrote an introduction in its 25th anniversary re-release. And some of Peter’s favorite anecdotes about that whole adventure are told in the videos included in our "Jaws Behind the Scenes" section. The international reach and acclaim of “Jaws” introduced Peter and Wendy to a wide world of talented undersea filmmakers, explorers and researchers. Many would play important parts in his subsequent works. Peter applied a lot of the research he been conducting and a healthy dose of imagination to create seven other novels and several non-fiction books. THE DEEP (1976) was based on research he had conducted in Bermuda and on the vast store of knowledge contained in the person of Teddy Tucker, a great Bermudian treasure and salvage diver who Peter first met while doing a story on Bermuda in 1971. The truth of the story lies with a shipwreck named the Constellation, which went down off Bermuda in 1943 carrying a cargo of drugs and rests on top of two old Spanish ships, wrecked hundreds of years earlier. Knowing that truth is often stranger than fiction, Peter thought that audiences would have a hard time believing that fact, so he made the story about a drug ship resting on only one old, but very lucrative, trove of gold. The book was made into a very successful film in 1977 directed by Peter Yates and starring Nick Nolte, Jacqueline Bisset and Robert Shaw. Much of the underwater footage for “The Deep” was shot by Stan Waterman, a pioneering filmmaker who had become a close friend of Peter’s. In the ensuing years, Stan and Peter would work together on numerous TV and film projects across the globe. The principal underwater director was Al Giddings, another innovator in the field of underwater photography. THE ISLAND (1979) was again based on a lot of his research into pirates and the legend of The Bermuda Triangle and a healthy dose of imaginative “what if” thinking. It was made into a movie in 1980 starring Michael Caine and David Warner. During these years, he also wrote and appeared in many TV documentaries about marine life and the oceans for series such as “The American Sportsman” and “Spirit of Adventure.” Many of these were filmed by Stan Waterman. I felt like a fighter pilot—no, not a pilot, for I had no control over this craft; rather, like a passenger in a fighter plane. Down we flew, and banked around the sea mount, and soared again. We passed turtles that didn’t give us a passing glance and hammerheads that (I swear) did a double take as they saw us go by. The world grew dark, and for a moment I was afraid—I knew we had gone very deep, but I had no way of knowing exactly how deep because I couldn’t let go with one hand to retrieve my depth gauge. If we’re too deep, I worried, I’ll run out of air, or get the bends on surfacing, or—Just then, as if to reassure me, the manta returned to the world of light. It rushed for the surface, gaining speed with every thrust of itsmighty wings, and I had the sudden, terrifying conviction that it was going to burst through the surface and take to the air—and me with it—and when we slammed down again on the water I would be reduced to pudding. But long before it reached the surface, the manta swerved away and began to cruise twenty or thirty feet below the boat. Finally, it slowed, then silently stopped directly in the shadow of the boat. I let go and made my way to the surface. The film of this adventure is truly amazing, and so is the 1981 Nat Geo article. Peter was so struck by this interaction that he rushed home and wrote a story of the conflict between conservation and commerce, which still ranks on many people’s lists of favorite books. Now, new generations are having the book read to them by parents who have been in love with the story for decades. Again calling on his own experiences and his research, Peter’s next novel turned into the realm of picaresque comedy/adventure. 1986’s Q CLEARANCE is the story of a White House speechwriter who gets in way over his head while merely trying to craft clever oratory for the Leader of the Free World. Peter also shared some of his experiences in the 1989 comedy/ adventure RUMMIES, a “cautionary tale” about a New York editor who refuses to admit he has a drinking problem but is finally forced to go to rehab. The story was somewhat ahead of the time in dealing with addiction and recovery in a humorous vein. Q CLEARANCE and RUMMIES remain two of Peter’s most under-appreciated novels. In 1991, he returned to the sea and adventure with BEAST, another “what if” story about a giant squid which was based on his years of research. While the tale may seem fantastical, scientists and fishermen speculate that there really are huge squid in the blackest reaches of the oceans, and the focus of this story is not too far-fetched. In recent years, evidence of just such beasts has emerged from several sources. The book was made into a highly rated NBC-TV miniseries in 1996 starring William Petersen and Karen Sillas. In 1994, Peter’s special brand of “what if” took flight with WHITE SHARK, a tale of scientific engineering gone horribly wrong. In 1998, it was released as a TV miniseries, “Creature,” starring Craig T. Nelson and Kim Cattrall. Peter also wrote the pilot for what would have been a TV series called “Dolphin Cove” in 1989, about a marine biologist. And he had a successful TV series in syndication from 1999-2000, titled “Peter Benchley’s Amazon." It was a series about an airplane which crashes in the most remote spot on earth—the middle of the Amazon jungle—and all the fantastic, anachronistic creatures and people whom the survivors encounter. Peter had great fun playing a leper on some of the episodes. Ironically, the story presaged the immensely popular TV series “Lost”. In his later years, Peter turned his talents and his time to works of non-fiction, mostly in support of ocean and/or environmental causes. He was co-author with Judith Gradwohl of OCEAN PLANET (1995) a text-and-picture companion book to a Smithsonian Institution exhibition. He wrote about most of his experiences with sharks in SHARK TROUBLE (2002) and later reprinted it in an edition for teenagers titled SHARK LIFE (2005). Descriptions of encounters that Peter had with many different types of sharks can be viewed in the Shark Gallery. Shark Trouble was not intended at all as a mea culpa, for several reasons. I don’t feel a bit of guilt about Jaws. The book made use of the best information that was available 30 years ago. It was as realistic as I could make it. Great white sharks had done every single thing that happened in the book, though not all at once and certainly not one single shark. Over the years, Jaws has brought a great deal of positive Attention to the plight of sharks and the ocean. I still get about a thousand letters a year from kids who weren’t alive when the book was published or the movie released, and they all express fascination and adoration for sharks. The conservation work I’ve done since – and do still – is the result of education and growth: mine. I’ve grown up with the environmental movement, and with what I – we all – know now, I couldn’t possibly write Jaws today. Last summer’s hysteria was dumb, hideous and downright wrong! I campaigned against it all summer, and in the fall it became the genesis of Shark Trouble. I wanted to write something that set the record straight and pointed out how the Internet makes us all vulnerable to distortions, wild exaggerations, and outright lies. For many years he also worked with Dr. Gregory Stone, of the New England Aquarium, on writing, producing and hosting a series of short films addressing topics like endangered marine species, global warming, bycatch and other marine issues. Sponsored by the Fidelity Foundation, and in partnership with the Bermuda Underwater Exploration Institute, the films have been donated to aquariums and museums around the world. He was the host/narrator of “Ocean Report,” daily radio spots aired on more than 100 public radio stations from 1997-2000. 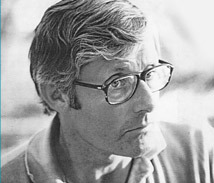 From the early 1970s through to the early 2000s, he wrote many articles for The National Geographic, The New York Times and other publications. In his role as a marine conservationist, Peter spent the last many years of his life donating his time and knowledge to a variety of causes and organizations. He gave hundreds of speeches and made scores of documentary films in an effort to alert people to the serious damage being done to our oceans. He had a true, gut-level fascination with the animals which inhabit our planet’s waters, and his passion shone through in his environmental and conservationist work. One of his earliest causes was in support of the great white shark. Although the phenomenon of “Jaws” caused some early trouble for the subject animal, eventually it has generated a fascination, a respect and affection for these highly sophisticated, magnificent animals. Peter’s activism did much to further the cause of championing and respecting them. He was one of the founding fathers of the remarkable Bermuda Underwater Exploration Institute (BUEI), which offers visitors a rich undersea experience. The institute houses fantastic collections of seashells, marine life and treasures recovered from wrecks on the Bermuda reefs. There are educational segments offering visitors (simulated) rides in submersible submarines and shark cages. The institute was conceived largely as a tribute to the many decades of exploration and discovery of Teddy Tucker, Peter’s underwater mentor and a true living legend. In the four decades in which he was in the public spotlight, Peter and Wendy traveled around the globe many times, exploring, researching and learning from many of the brightest, most committed scientists and adventurers on the oceans. In varying capacities, they served on the boards and advisory functions for the National Council of the Environmental Defense Fund; the Center for Sustainable Fisheries at the Rosenstiel School of Marine and Atmospheric Sciences at the University of Miami; Wild Aid; the New England Aquarium; and the Mote Marine Laboratory. Peter died in his home in Princeton, NJ, on February 12, 2006. His environmental and conservation work is being carried on by Wendy and many of his colleagues in the vast fields of oceanographic sciences and marine conservation.